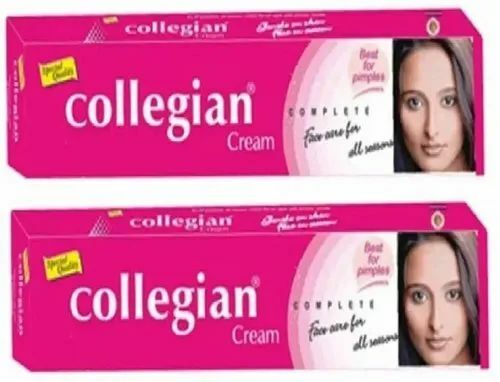 Established in 1974 as Dhiren enterprises, now “Vasa Cosmetics Private Limited” is one of the largest international market conglomerates with more than 340 different cosmetic products which are Researched, Developed, and Formulated together with its packaging development, labeling designing which is all in-house. With an experience of more than 4 decades in the industry, put together with the vast product lines, we manufacture all cosmetic products on loan license basis under comprehensive control & surveillance of our In-house Quality control & Quality assurance team and are one of the largest exporters of cosmetics, toiletries & skin ointments in the country. All our products are meant for international markets and we are a 100% Export Oriented organization. Every individual product line requires its own suitable and efficient infrastructure, with our vast products range and in order to adapt and cope-up to such varied product lines manufacturing, we cater to all our products in more than 6 different highly automated facilities best suited as per the product specifications & requirements. Vasa Cosmetics Private Limited began as a promise – to provide superior quality products in cosmetics and toiletries to the leading marketing and distribution conglomerates worldwide. Over time that promise has turned into a guarantee and the small supply firm has morphed into a multifaceted company spanning across boundaries. Our name is now equated with an assurance of superlative quality products and services. Apart from having conquered the domestic market in just 3 decades, VGC enjoys the status of Government of India Recognized Export House in cosmetics and toiletries sector with footprints in most major countries of Europe, USA, Africa, Russia, Far-east and the Middle East. This exponential growth can only be attributed to the company’s core values of quality, punctuality and integrity. Thanks to tireless efforts of the management, dedicated and loyal employees and an unbending adherence to the values of quality and service. We have constantly grown with the needs of our customers, stayed ahead of the market curve and expanded our base all over the world. Vasa Cosmetics Private Limited; now ranking among the leading manufacturers on loan license basis and one of the largest exporters of the entire Spectrum of cosmetics,toiletries & skin ointments- started its journey with a line of only Nail Enamels. Rising from these humble beginnings Vasa Cosmetics Pvt. Ltd. has established a benchmark in the market of cosmetics and toiletries namely Skin Creams & Lotions,Skin ointments, Bath Soaps, Oral Care Products, Shaving Creams, Hair Care Products, Baby Care Products & Personal Care products.